Well, I love all food, but that’s a different story. 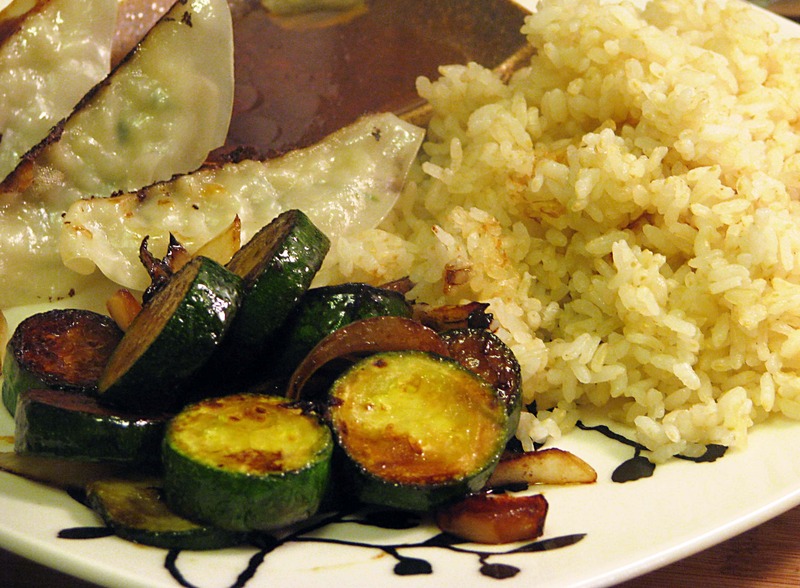 To finish off our 3-recipe meal of gyoza, tofu, and rice, we need a veggie! 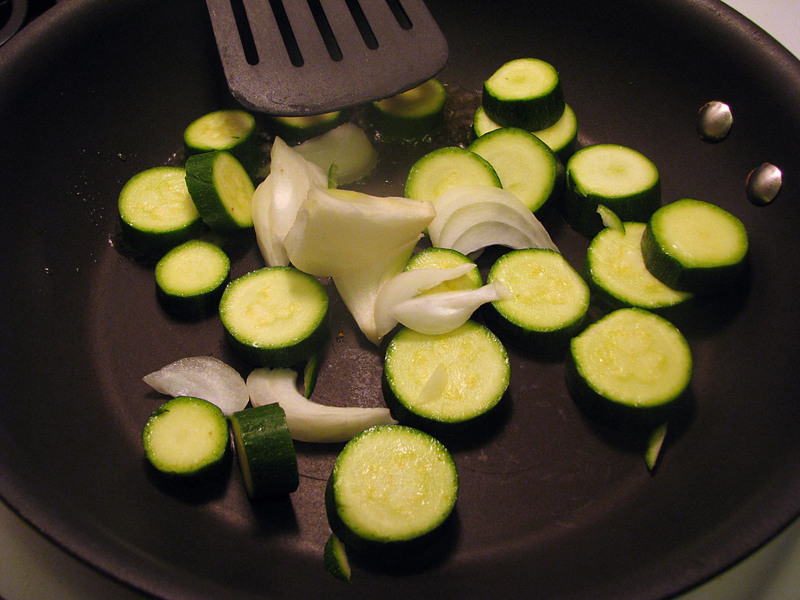 Let’s make super duper easy zucchini, k? This method is just like the hibachi shrimp method from a few weeks ago and could OF COURSE be used with any veggie you like! 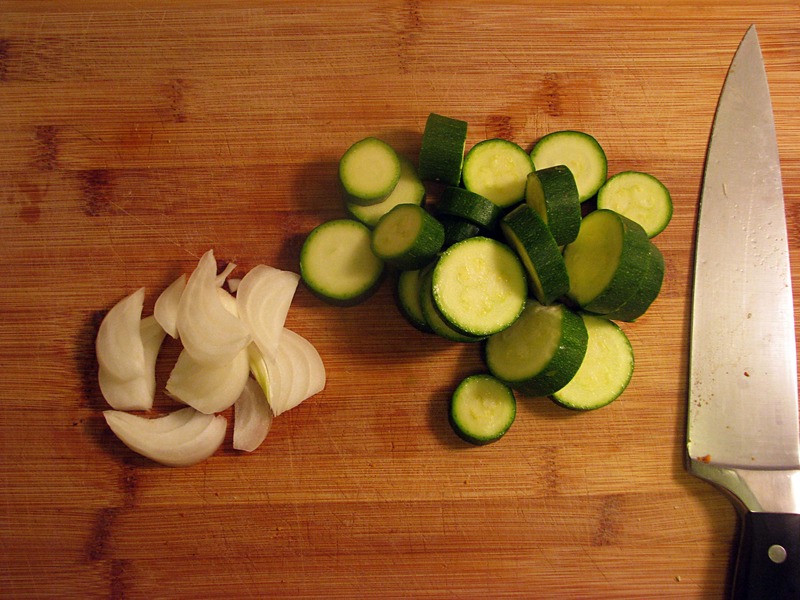 I just really like zucchini and onions, so that’s what I’m using! I like about 1/3 of the mix to be onions, and the rest to be other veggies. Heat a pan to REALLY hot, and add a drizzle of oil. Then, add in the veggies and flip them around for about 3 minutes until they’re nice and crispy. Keep the pan really hot the whole time the veggies are cooking! Also, turn on the fan so the smoke alarm doesn’t go off. When the veggies are brown on the edges but not yet soft on the inside, sprinkle soy sauce over the whole pan. 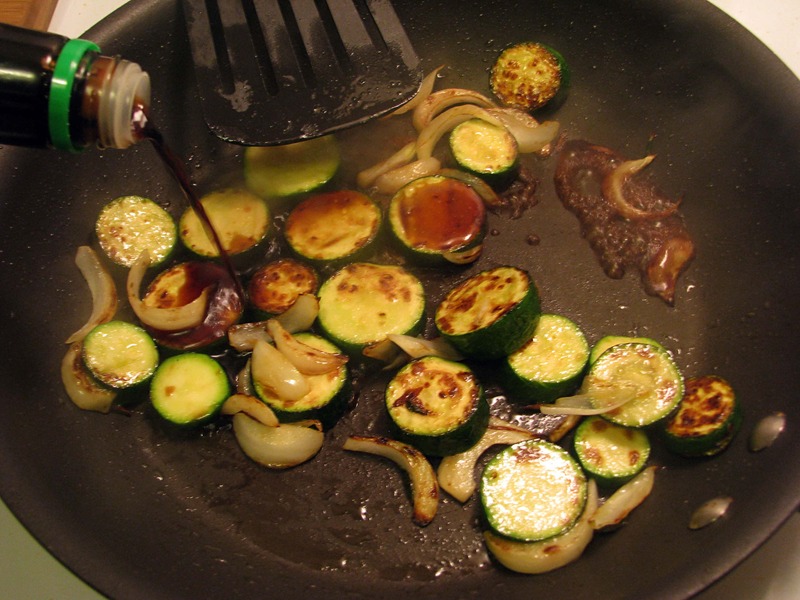 Shake the veggies around, but let the soy sauce sit on the pan for a bit to get a nice burnt-salty effect. That sounds gross, but it isn’t. Once the soy sauce has absorbed into the veggies, you’re all done! Easy, peasy, well…..you know the rest. There are so many ways to cook super fast, fresh, healthy Asian food. 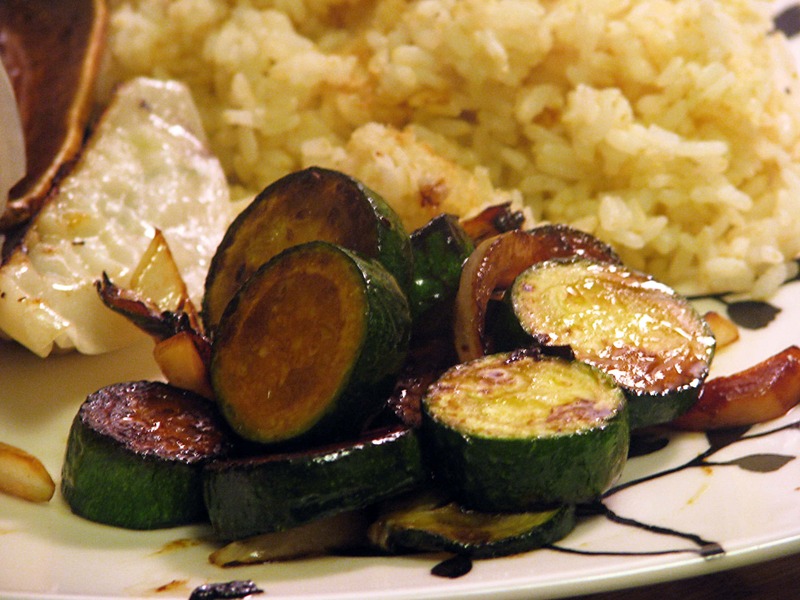 Try some of these quick dishes tonight!